Pitstop is one of the new food parks in the North, and there are currently more than 20 food stalls found inside. 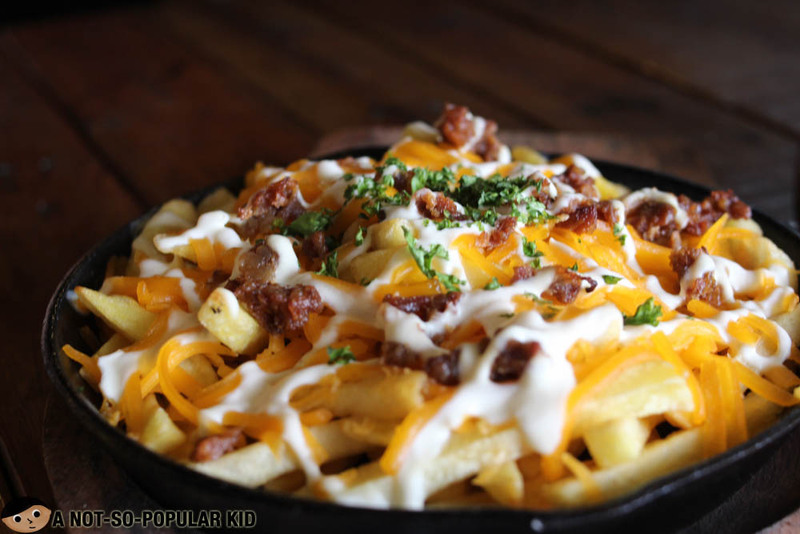 Given the number, you will certainly face lots of interesting options on cuisines to enjoy -- Filipino, Japanese, Chinese, Mexican, Italian, American and others in-between. 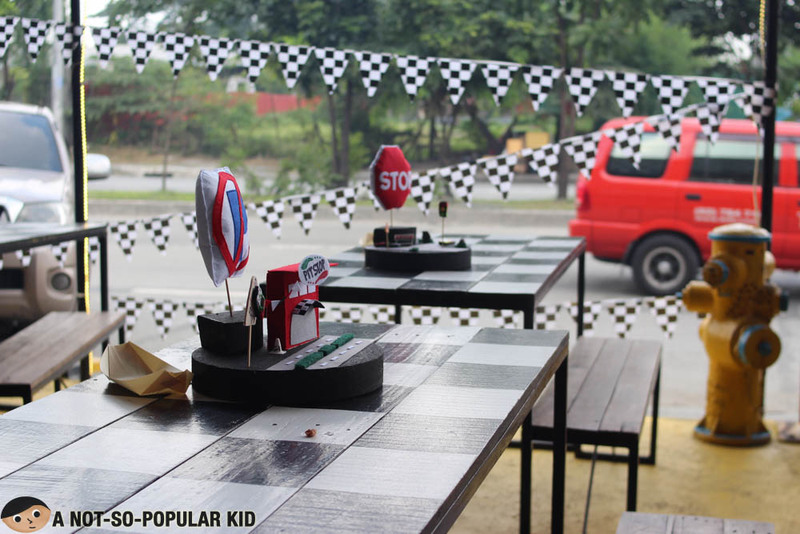 Given by its name, Pitstop is inspired by cars and sports revolving around 'em. 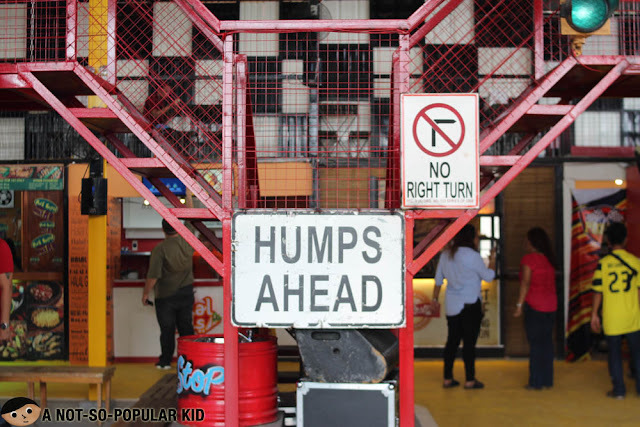 This explains the garage-like feel and the presence of street signs embedded in the design. At first, the place seems bare, but that is because most of the seats are located in the upper level. 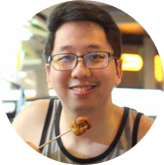 This is to give space for foodies to freely browse around. 20+ restaurants - diversity of flavors! 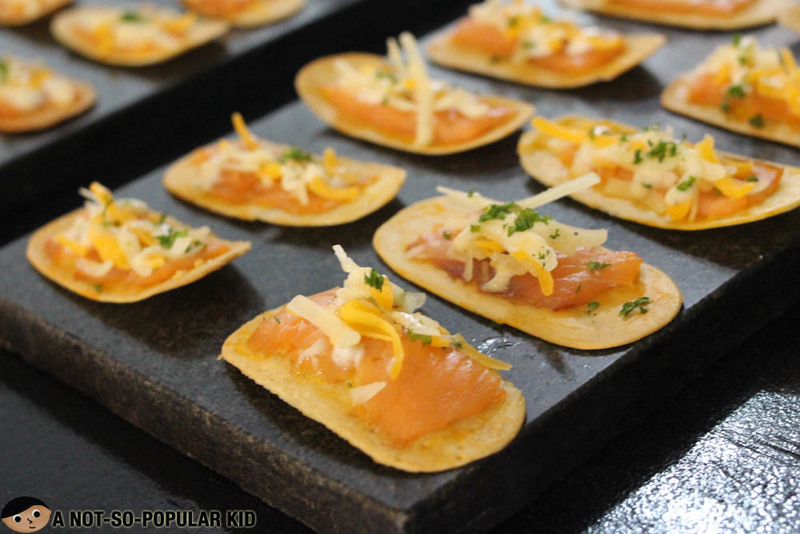 With more than 20 restaurants, we foodies are definitely in for a treat. 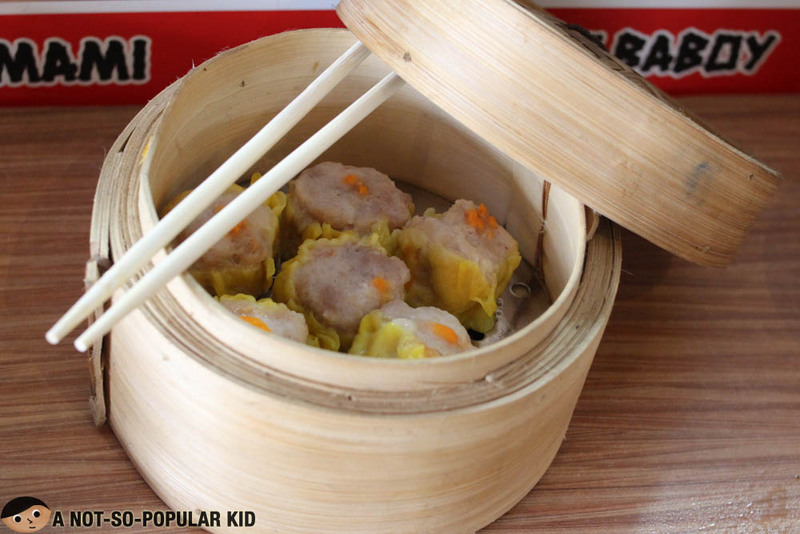 Most of the dishes we crave for can be found here in Pitstop -- ramen, pastra, pizza, dimsum, sushi, wagyu cubes, ice cream, cakes and a whole lot more! Anyway, to guide you, here's the list of food stalls you'll encounter here in Pitstop Foodpark. 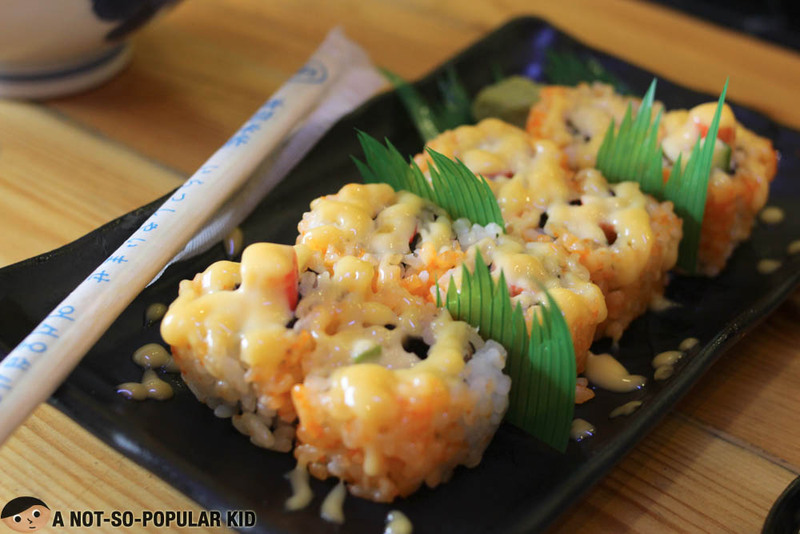 Nori Sushi x Burrito offers a fantastic snack experience by combining concepts from Japanese and Mexican cuisines. 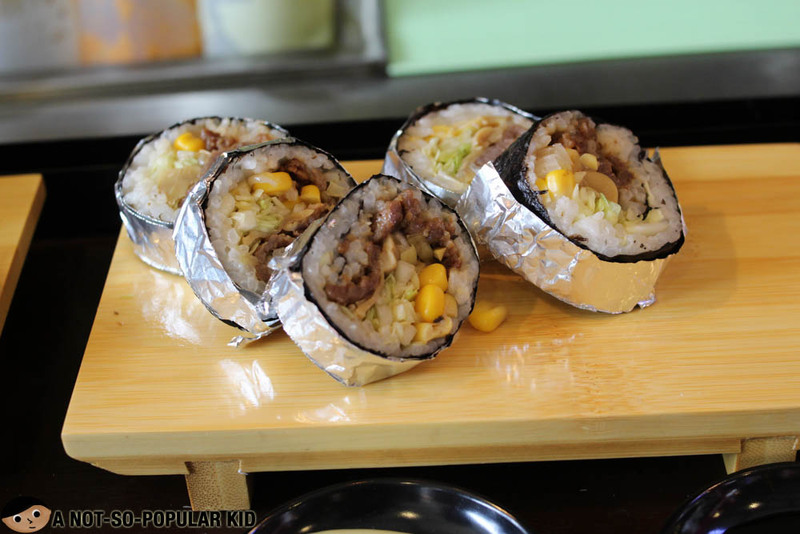 They offer to-go sushi burritos that you may carry as you check out more food stalls here in the park. 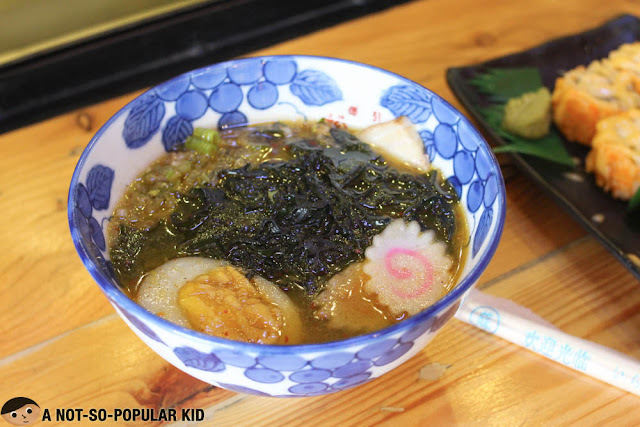 Kimusan is your go-to stall when you want to have some quick fix of your Japanese cravings. They offer your favorite rolls with a few tweaks and some bowl of hot ramen. 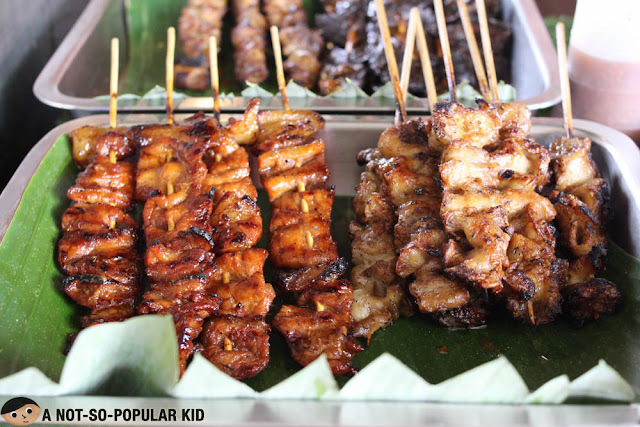 Stone Grill offers dishes that are grilled and served off the stone, and thus the name of the stall. Jian's Dimsum House serves home-made Chinese dimsum dishes such as Siomai, Hakaw, Steamed Spareribs and a whole lot more. 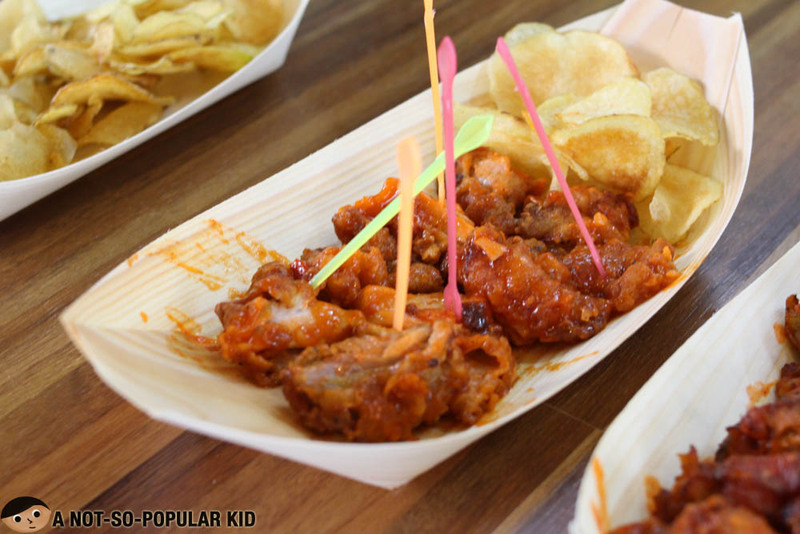 Strip Chips rides the bandwagon of salted egg snacks. 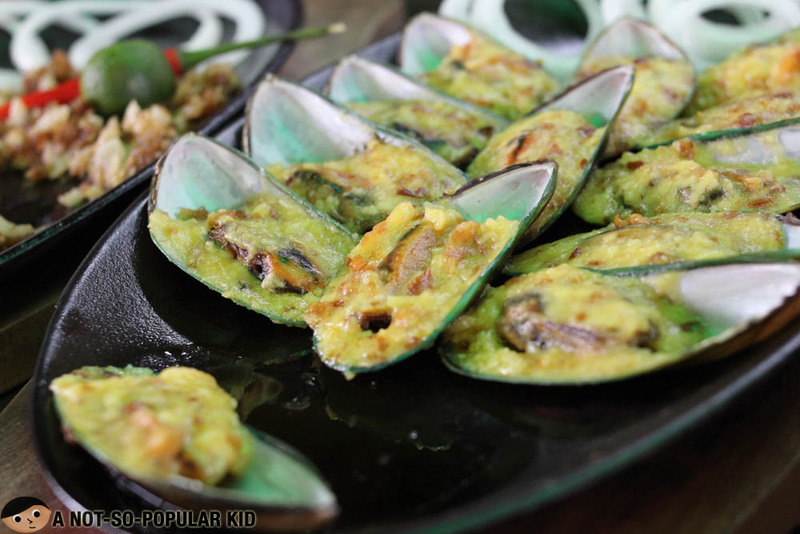 You can either go for the traditional salted egg potato chips or fish skins for the seafood lovers. 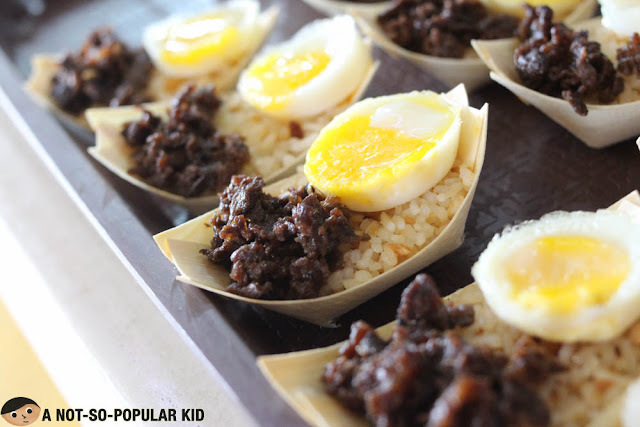 Tapaout specializes on no other than tapa. 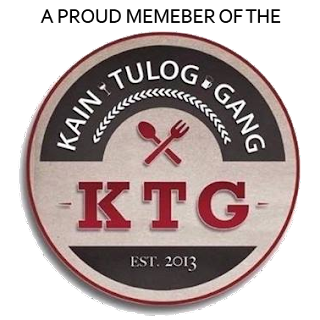 If you happen to crave for a favorite Filipino breakfast dishes, nothing will stop you to have your way here in the stall. Thirsty Heroes serves beverages the "park way". 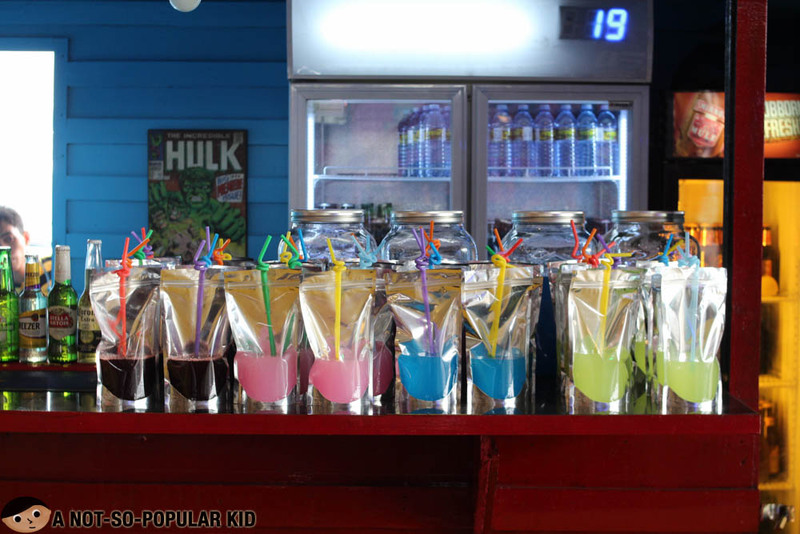 You can carry around this adorable juice pack as you browse around the food stalls. Plus, they serve alcoholic beverages for barkadas who want to hang out in the food park. 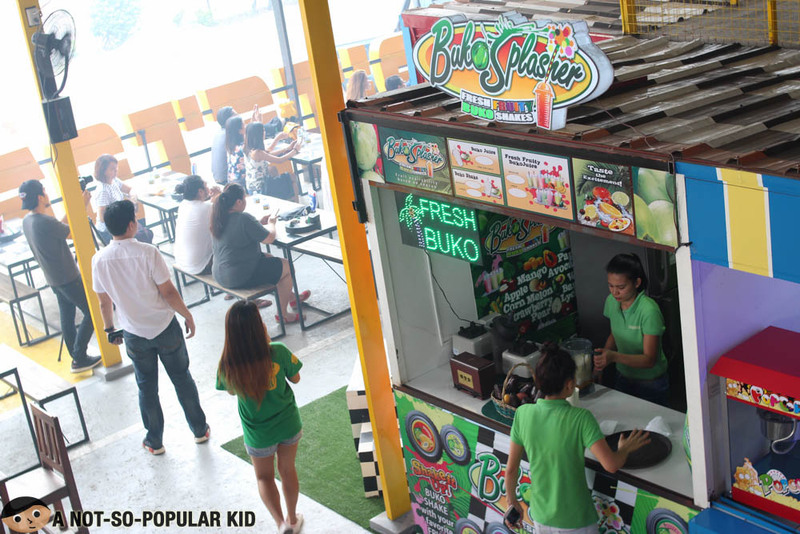 Buko Splasher provides an alternative for those who are health-conscious yet still want to enjoy a variety of interesting selections. 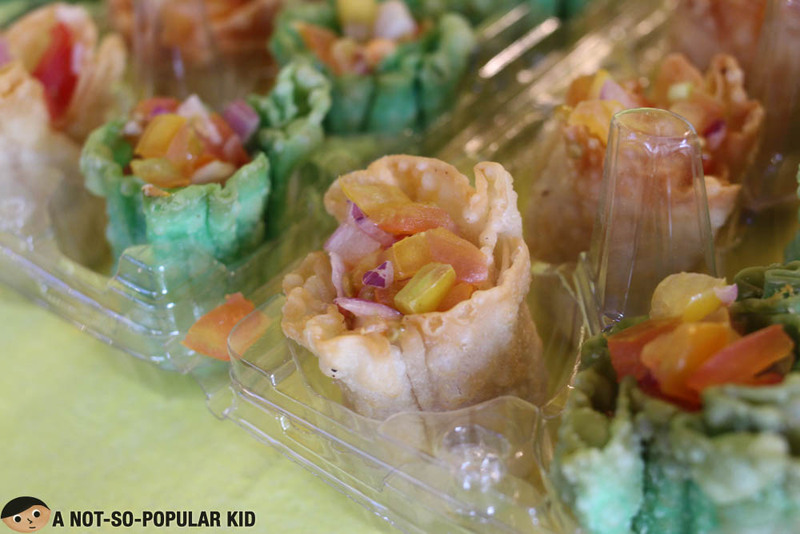 Native Grill offers authentic Filipino dishes cooked the "native" way. 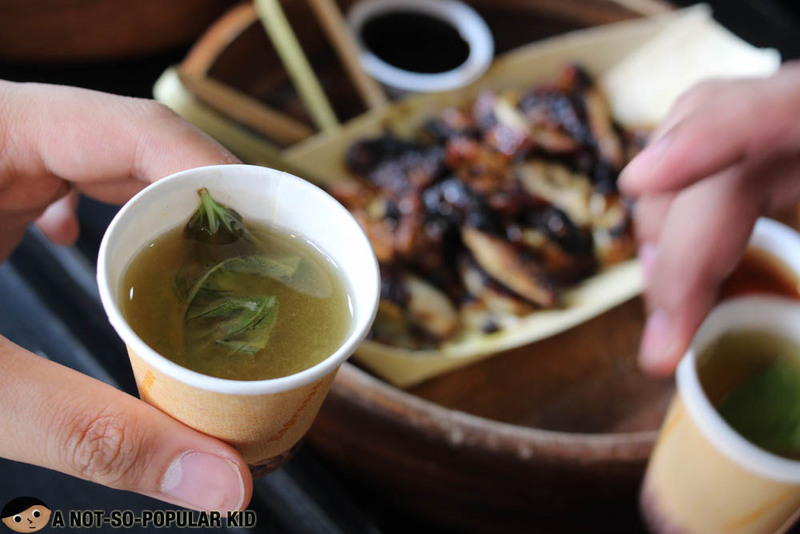 You'll be refreshed by taste of herbs in its grilled dishes. Plus, they serve interesting selection of native concoctions here. 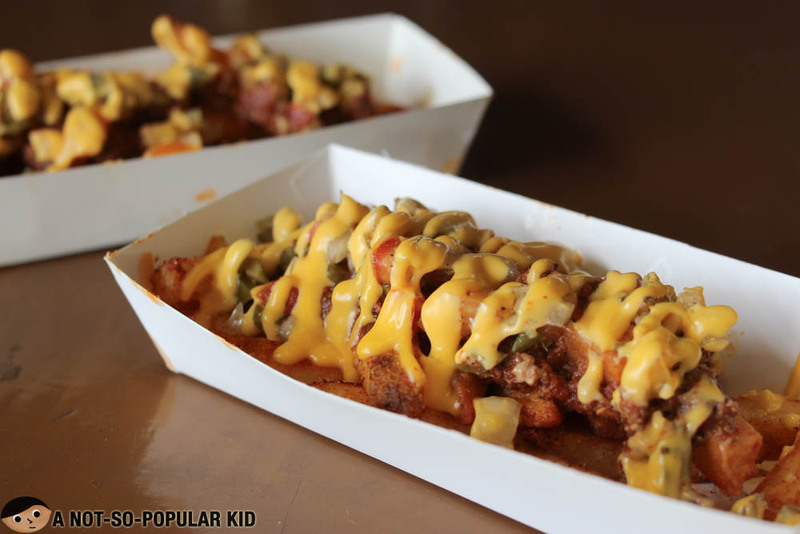 Sons of Burger provides you the comfort food you need to release you out of built up stress. 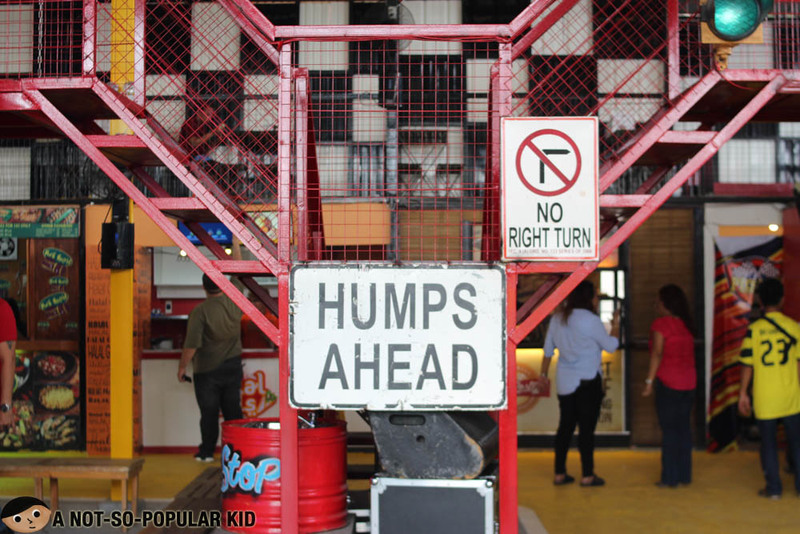 You can go for the burgers or crazy fries available. Masta Pasta Corner brings in some Italian zest to the food park. 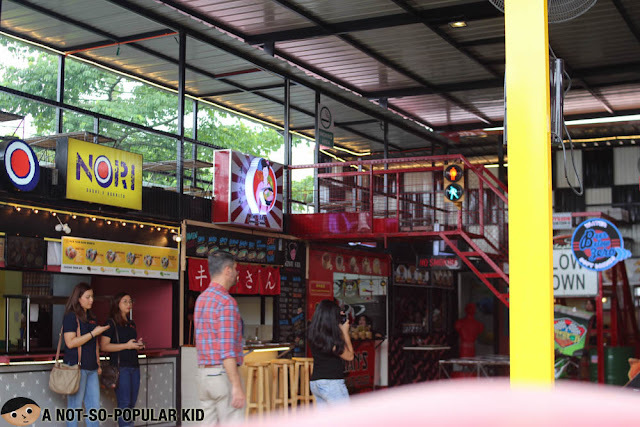 It's the only stall that can satisfy your cravings for the cuisine, and thanks to this, there is added diversity to the choices here in the park. 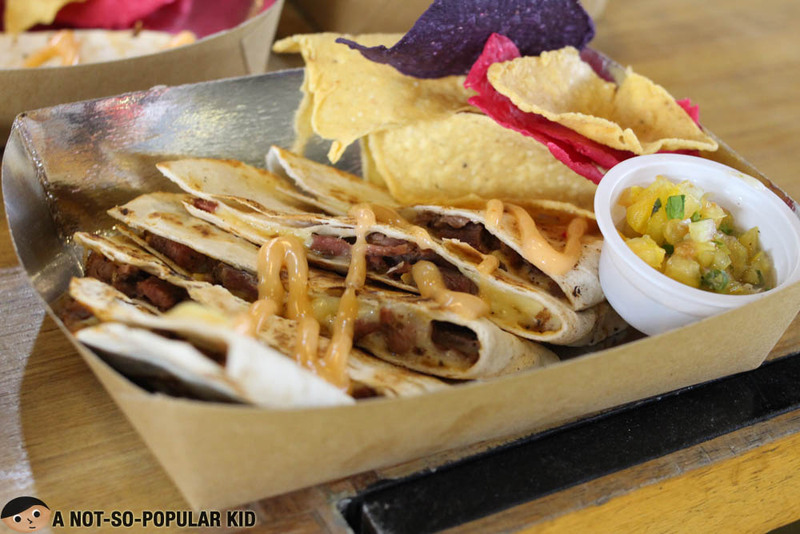 Qrazy Quesadilla adds another layer of diversity with its Mexican delight -Quesadillas! 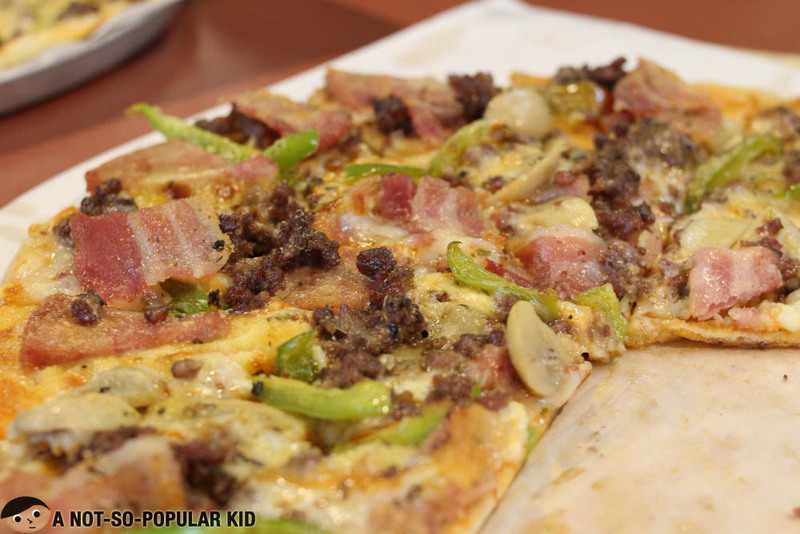 It's time to be cheesy. Buffalo Wings is honestly not the name of the place. There was no sign in place for me to take note, but anyway, this stall serves various flavors of buffalo wings that may go perfectly with a bottle of beer. 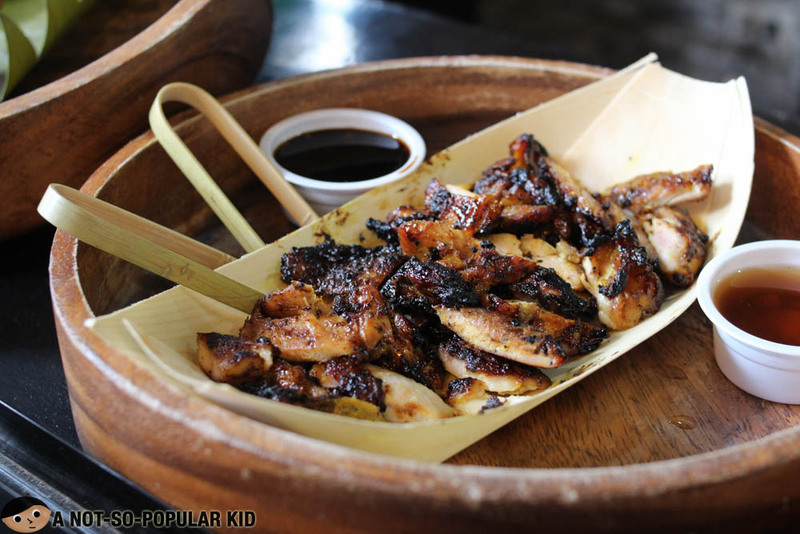 Pork Barrel provides Pinoy favorites perfect for salu-salo and hangouts. 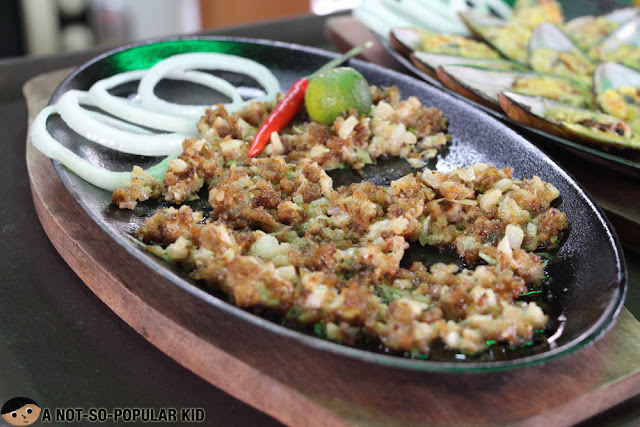 You can order sizzling sisig here as well as a baked tahong. Halal Gals offer a unique alternative for those who have restrictions on what to eat. 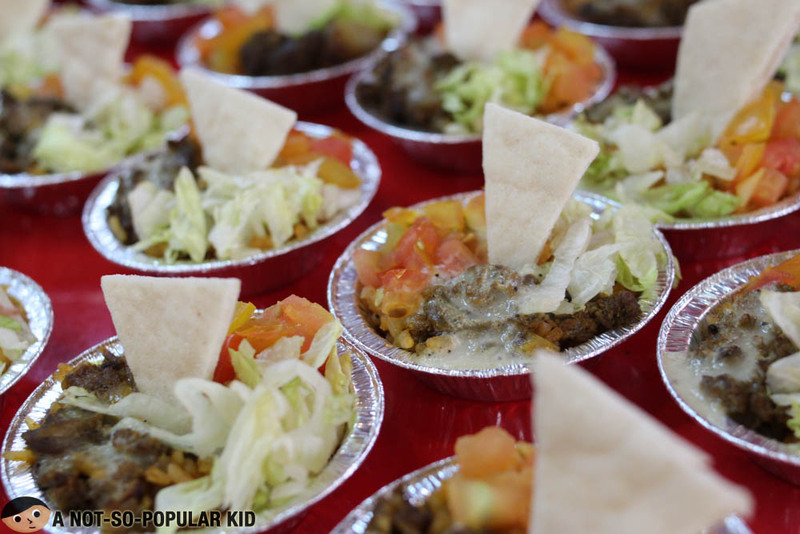 Rice platters are served. 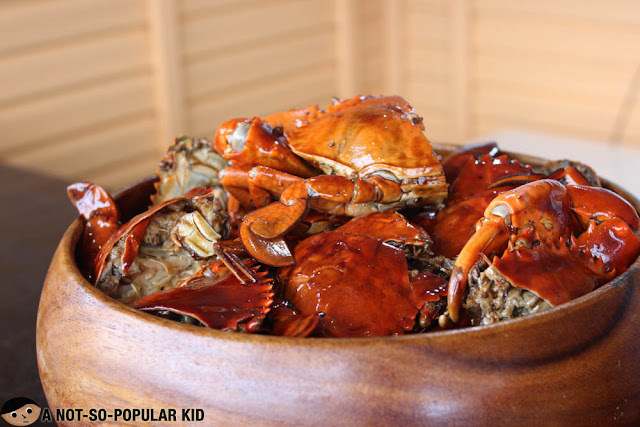 Unlicrabs offers something that you won't probably find in other food parks -- whole crabs! 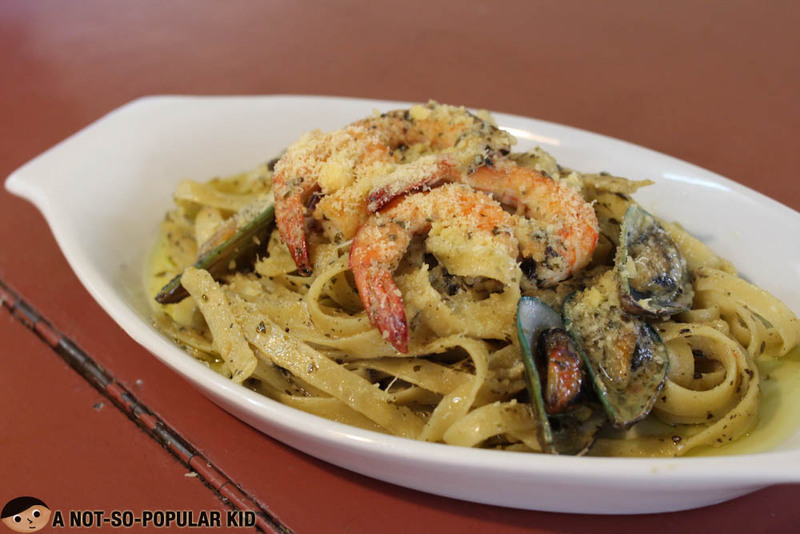 It's totally going to be a seafood adventure. 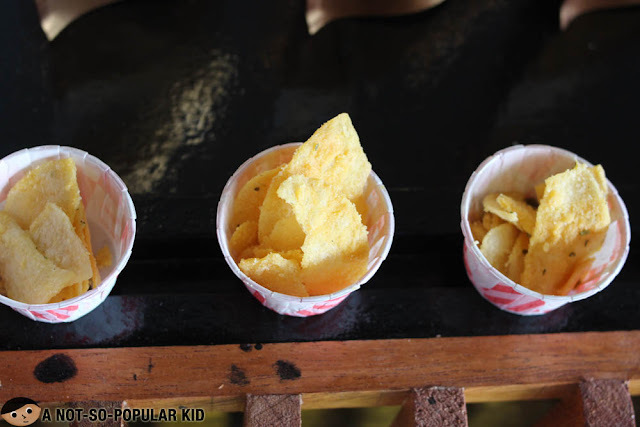 Ihaw Lang ang Iibigin serves an essential component of a food park. It's no other than Filipino street food! Brandon's Steak Hub has something very interesting to offer. These are the soft and delectable wagyu cubes that instantly melt in the mouth once you pop one into your mouth. 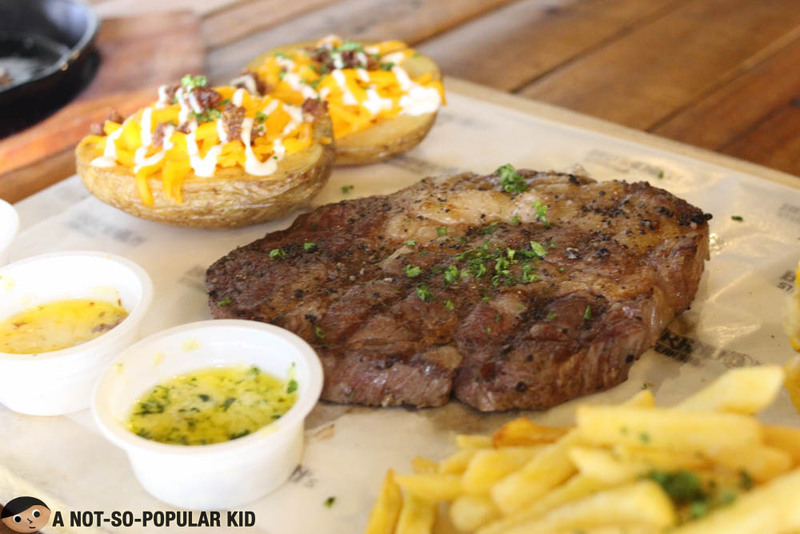 Steaks are also available for the voracious eaters! 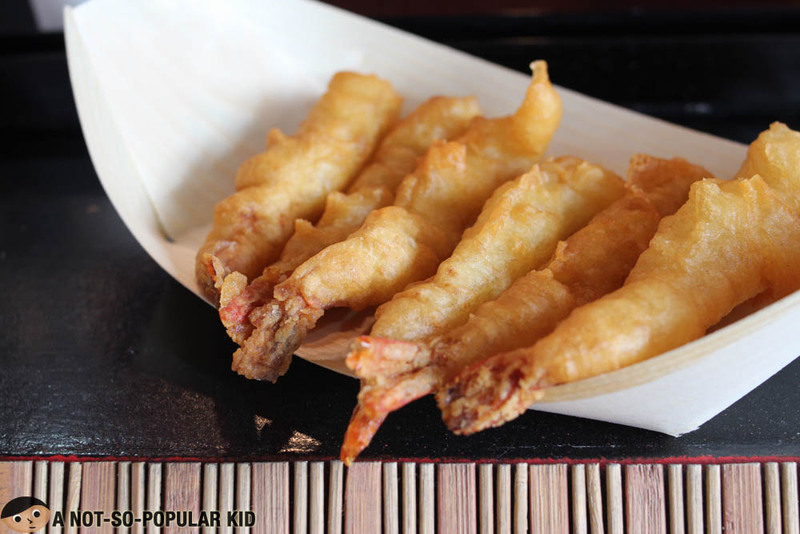 Tokyo Tempura gives us an affordable fix of our tempura cravings! 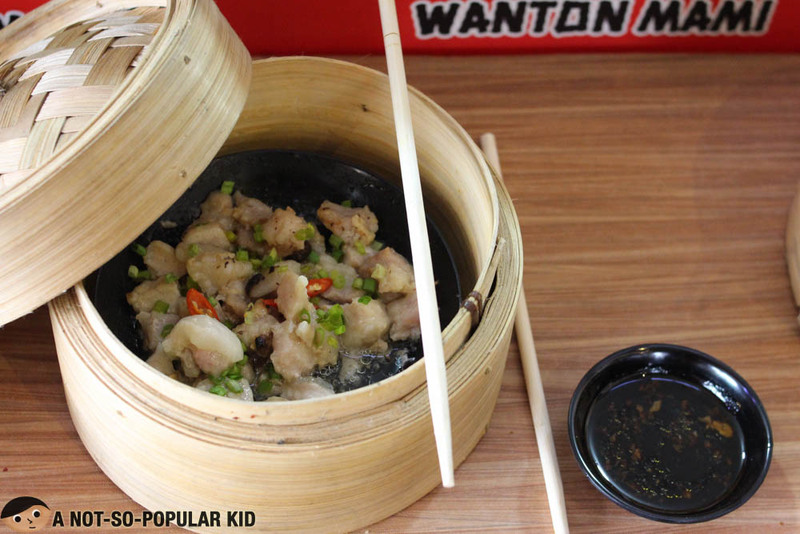 Order a bucket to share with friends or family. Taclings offers bite-sized tacos that is perfect for snacking. You can either go for the beef or tuna, depending on your mood or preference. Chinder's Dessert Bar offers two of our favorite desserts - ice cream (i.e. nitrogen-infused) and cakes! 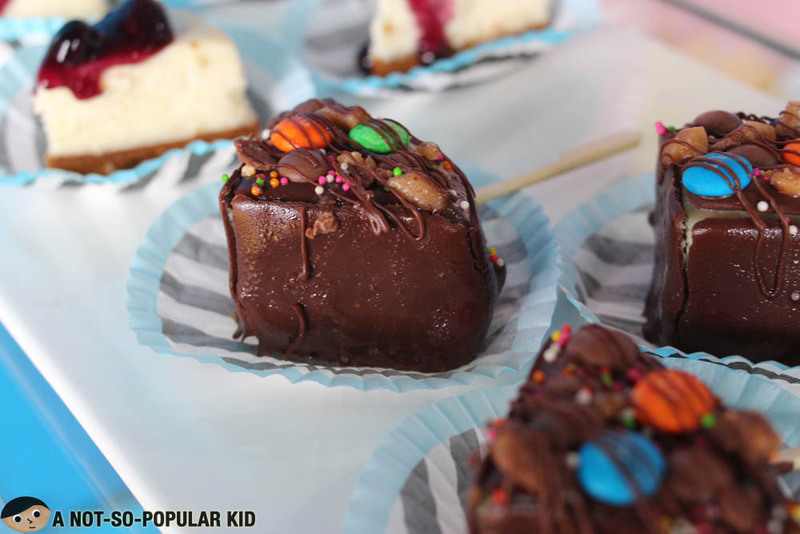 Fruitlocker offers fruity desserts to end your food park adventures sweeter and slightly healthier. 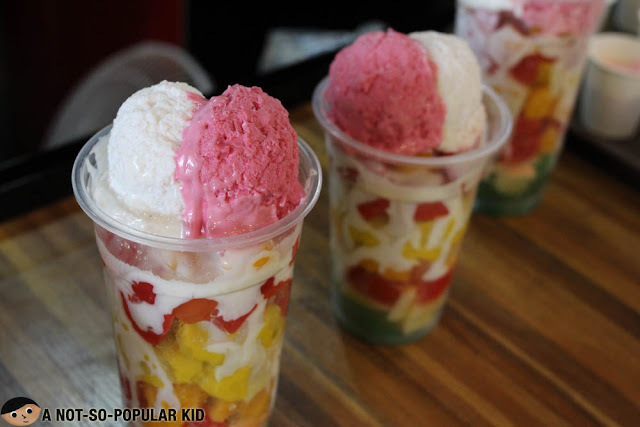 Halo-halo is also available! 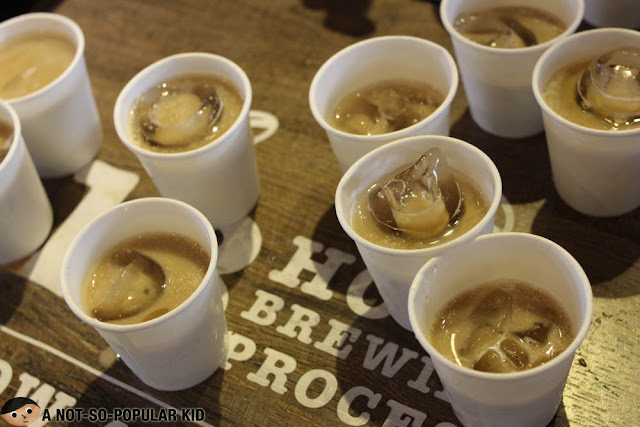 Nitro is a fairly new concept for coffee as it infuses nitrogen in the process of producing coffee. 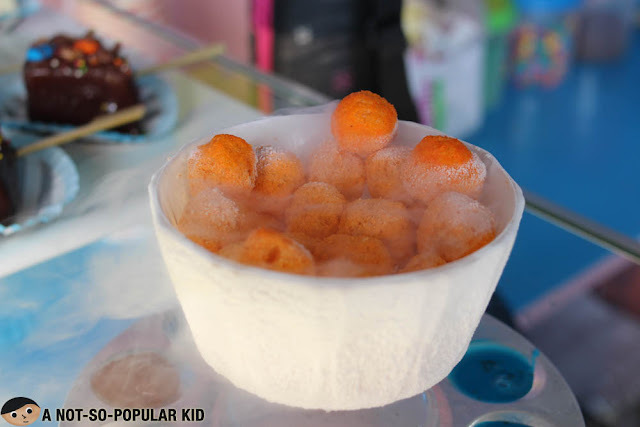 The resulting taste is something balanced and refreshing. 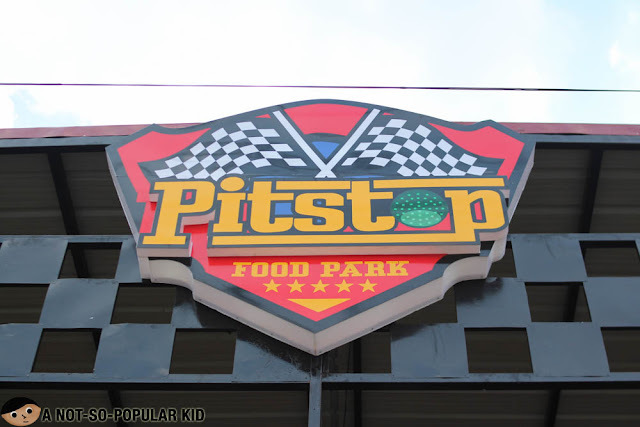 These are the 20+ "restaurants" you can enjoy here in Pitstop!